Lisbon (Portugal), June 24 (ANI): Prime Minister Narendra Modi reached Portugal’s Lisbon on the first leg of his three-nation tour on Saturday. 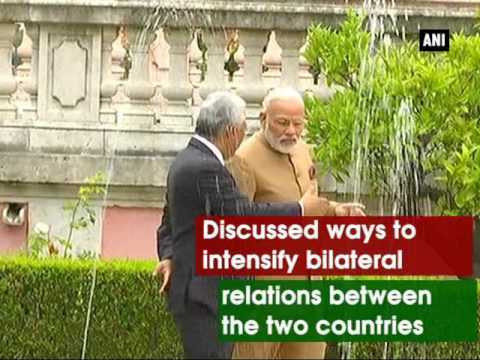 During the visit, PM Modi was seen interacting with his Portuguese counterpart Antonio Costa at Necessidades Palace in Lisbon. PM Modi, who arrived in Portugal this evening, will hold talks to strengthen economic, scientific and cultural engagements between both the nations. He will also discuss ways to further enhance the bilateral engagement, especially in the areas of economic cooperation and science and technology.